At times, the world around us seems to be falling apart. Earthquakes, suffering, famine, and global tragedies raise questions in our mind. 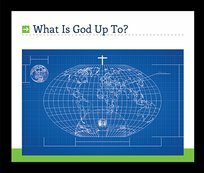 Is God really in control? Why does He allow these things to happen? Every day people are confronted with such issues. These messages focus on God's overall plan and purpose, and on our role as human beings in the vast scheme of cosmic events.